Now, for the first time, the nation's most respected reporters share their stories as the eyes and ears of the nation to create a fascinating oral history. 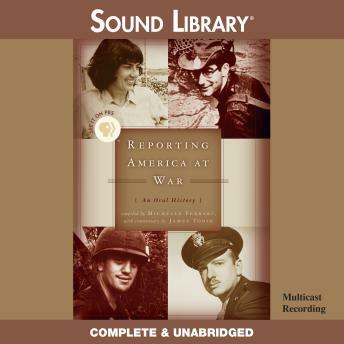 Some of the most influential journalists of our time, including Christiane Amanpour, Walter Cronkite, Morley Safer, Peter Arnett and Andy Rooney convey the facts, the brutality and the drama of warfare and examine issues such as censorship, propaganda, ethics, the power of the press, and the future of war reporting, especially after September 11th. In addition, they relay their own experiences as U.S. war reporters in a unique work of history.